When Thomas Jefferson, one of the founding fathers of America, quoted, “I sincerely believe that banking establishments are more dangerous than standing armies”, all I could think was: why would anyone say that? Chances are he never lived to see the convenience banks have given us: internet/mobile banking, standing orders, money transfers, safety lockers, gold loans, mortgages, and insurance policies, so on and so forth. But we have to hand it over to Mr Jefferson for his foresight. Amidst all this freedom with our money, we’re somehow not really liberated-a news confirms. Apart from deducting unfair charges, crediting wrongs sums of money in wrong accounts, they seem to be abusing the privilege called Data Mining. For starters, Investopedia defines Data mining as a process used by companies to turn raw data into useful information. By using software to look for patterns in large batches of data, businesses can learn more about their customers and develop more effective marketing strategies as well as increase sales and decrease costs. So most of our banks to draw a picture of how and where each individual is transferring chunks of money is the prime focus of banks. It could be where and on what you shop on, from restaurant to buying appliances, the banks have all the data, based on which they approach you with products like insurance, loans and other financial products. So when commercials announce a sale on certain merchandise and for a certain bank customers, they get 50% off and 5% extra off if they use their bank cards is a tricky plan. You may get your merchandise at a lower rate, what we don’t see is that, banks with these business establishments are luring you to spend on something you wouldn’t have, if not for the sale. The brand conscious citizens we have turned into, a Rs.6999 Hidesign bag you got it at 20% off, or that Breguet vintage carved watch, even though we don’t need them, we go with our impulses. Now that’s what banks are doing, making a whimsical ‘want’ into an essential ‘need’. Scary, I bet. Banks are given a right to data mine to defend themselves against building up NPAs or Non-performing assets irrecoverable bad debts. 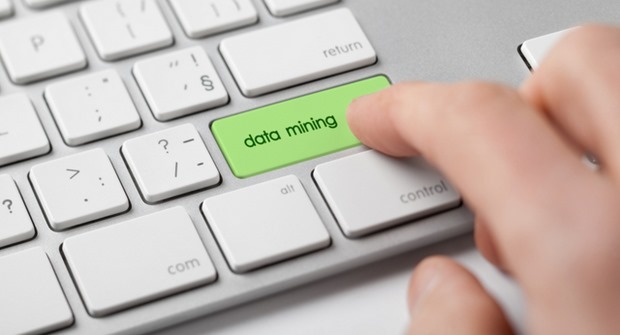 Data mining is a tool that helps them to check their customer’s credit risk, market risk, lessen financial risk and re-evaluate their portfolio. In order to make a thin profit from every customer, banks are indulging itself in such practices especially private sector banks. They have also been allegedly selling some valuable consumer information to big business establishments. Some do not see the harm in it, as the banks are tailoring their products to suit their customer’s needs. Just like Google custom filters data. But the part that gets scary starts when they start ripping their customer’s pocket. We could hope to give you a cure to escape this, but we’re at a loss of solution because it can only be rectified by our banks. Being aware might help you familiarize and avoid any financial mishaps!